The global glass community received excellent news of a €25 million investment in glass research to establish the new Centre for Functional and Surface-Functionalized Glasses (FunGLASS) in Trenčín, Slovakia. The Centre includes partner institutions in Germany, Spain, and Italy. The establishment of this European centre boosts the momentum and importance of glass research on a global scale. The purpose of the Centre is to conduct cutting edge research on glasses with special functional properties, as well as investigate novel strategies for functionalizing conventional glasses. The aim is to modify properties and add new functionalities to expand the range of applications in the optical, energy, structural, and biomedical sectors. The European Commission H2020 program awarded €15 million under the scheme H2020-WIDESPREAD-01-2016-2017-Teaming-Phase2 to establish the Centre. Also, the project has additional funding of at least €10 M from the Ministry of Education, Science, Research and Sports of the Slovak Republic. University of Padova, Italy (Enrico Bernardo). (ii) Optical materials, including materials with luminescence properties, (iii) Materials for energy-related applications and low-carbon processing, (iv) Other functional materials (i.e. electric, magnetic, etc. ), and (v) Structural glass-based materials. Where applicable, areas will further divide horizontally, in terms of: a) processing and characterization, b) coatings and sol-gel methods, c) high-temperature processing, and additive d) manufacturing approaches. The core funding will be used to upgrade the existing National Glass Centre in Trenčín, Slovakia, and establish an internationally recognized new hub for research and innovation in glass. Tasks between now and 2023 include creating and formalizing coordination and management structures of the new Centre, building the premises, upgrading the research infrastructure, and expanding staff capacity. Special attention is paid to hiring outstanding researchers and engineers. Project leaders anticipate approximately 40 new jobs for researchers at all career stages and auxiliary staff. Recruitment began in March 2017. The funding will allow partners to create a motivating environment not only for researchers from the Slovak Republic, as well as experts from other countries. The goal is to build a multidisciplinary, creative, highly competitive, and inspiring environment for conducting cutting edge research to develop glasses for a variety of applications. Continuous education and training through extensive scientific exchange programs and the creation of international doctoral degree programs issuing double diplomas with project partner institutions will ensure that scientists and Ph.D. students from the Centre develop the desired qualifications. 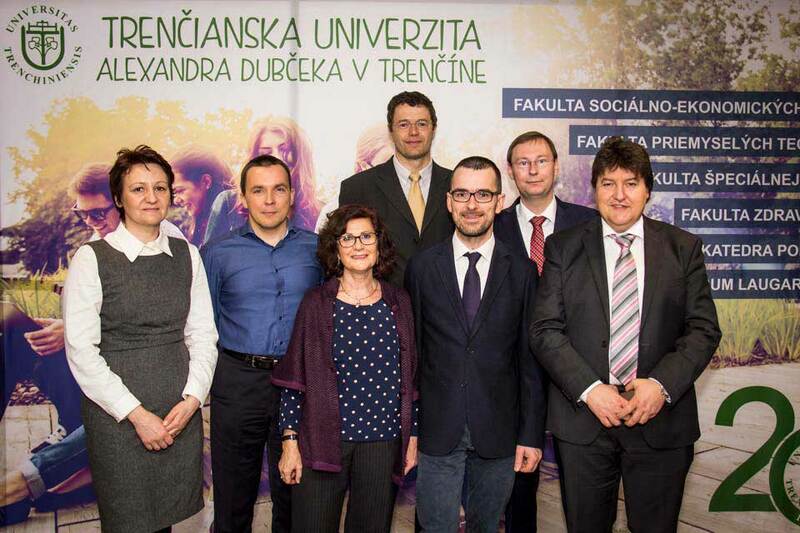 A kick-off meeting for the new Centre in Trenčín on March 7-8, 2017, included authorities from the Ministry of Education, Science, Research and Sports of the Slovak Republic, representatives of the European Commission, authorities of the Alexander Dubček University of Trenčín, and the international partners from Germany, Spain, and Italy.